The 3D postcard is the simplest of the 3D mesh presets in Photoshop. 3D modeling is processor-intensive, so if you've seen a message when launching Photoshop about insufficient vRAM, you will not be able to work in 3D. 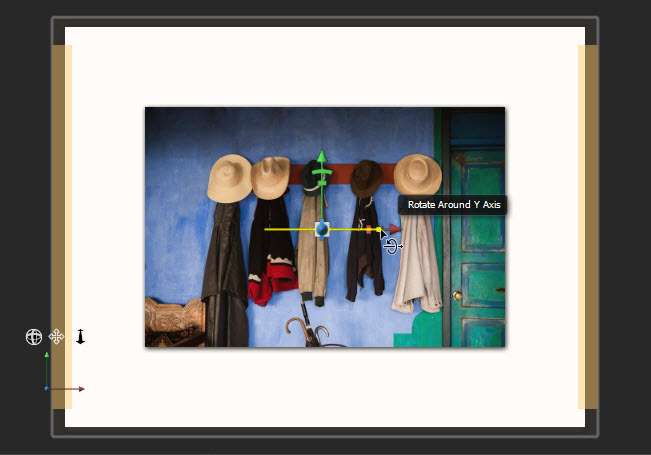 This feature works the same in Adobe Photoshop CS6 and CC versions. 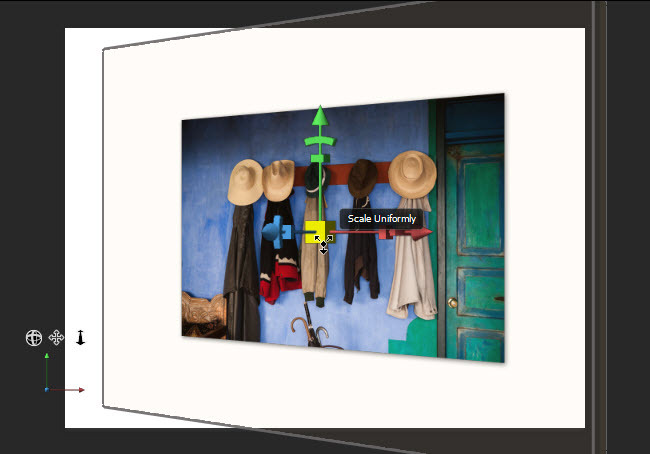 Photoshop CS5 also has 3D capabilities, but the interface has changed. Meshes – Sometimes called wireframes, they are the skeletons of 3D objects around which the image wraps. Materials – Refers to the surface of the 3D object. Is it smooth and shiny like glass or metal, or textured like fabric or orange peel? Lighting – Affects the highlights and shadows of a 3D object. Camera Position – Refers to the line of sight relative to the 3D object. 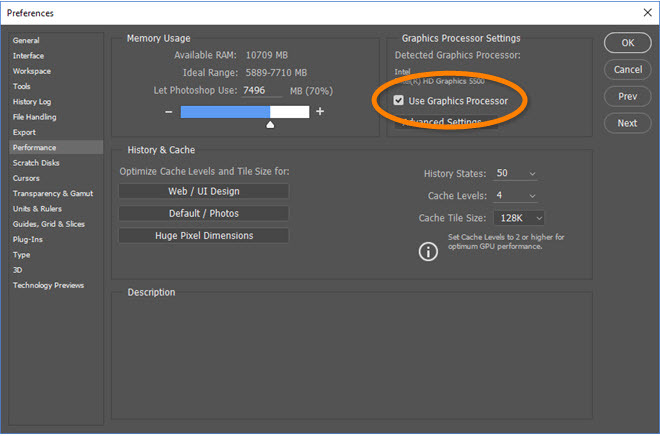 To optimize Photoshop for working in 3D, go to Edit > Preferences > Performance to open the Performance Preferences and make sure Use Graphics Processor is checked. If this option is grayed out, your video card or driver does not support Open GL, and 3D options will be limited and slow. 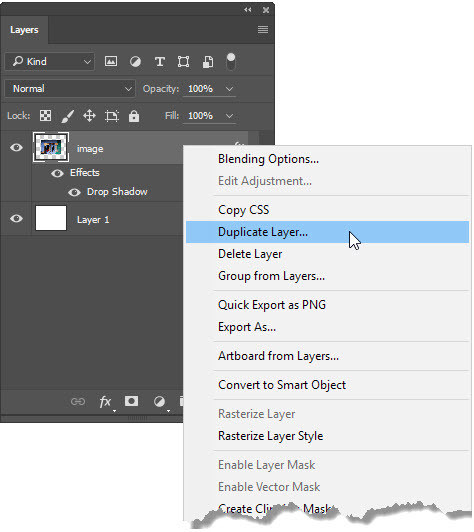 In case things don't work out as planned, it's a good idea to make a copy of the image layer you'll be turning into a 3D object by going to the Layers panel, right-clicking (PC) / Control-clicking (Mac) on the layer, and choosing Duplicate Layer. I'll name the layer "image - 3D" in the next dialog box. 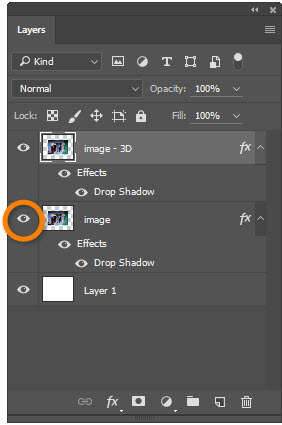 Now the original layer can be hidden by clicking the layer's Visibility icon. From the Workspace menu, select 3D. 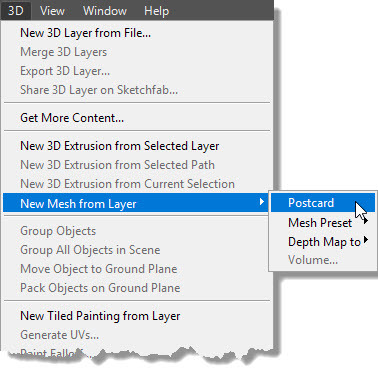 With the 3D layer active, go to the 3D menu to New Mesh from Layer and choose Postcard. 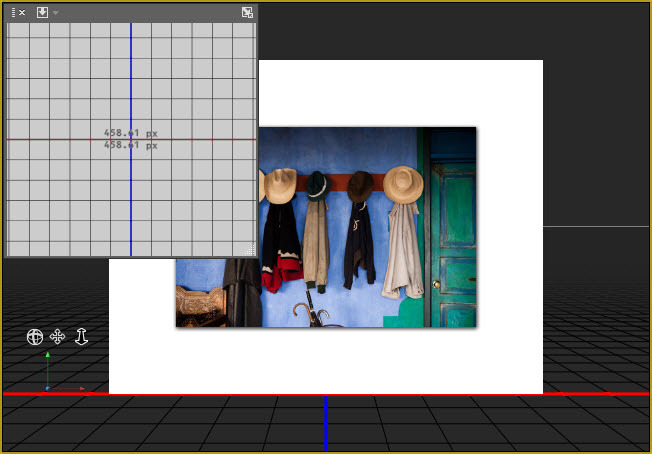 The image will likely display a Secondary View Panel and a ground plane grid. These can be turned off by going to View > Show > 3D Ground Plane, then back to the View menu again and toggling off 3D Secondary View. 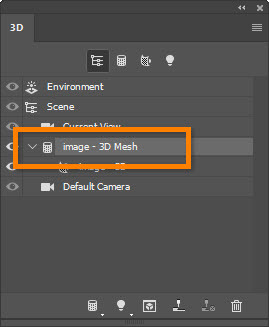 Go to the 3D panel and click on [layer name] Mesh. Move On Axis: moves the object along the selected axis. Rotate Around Axis: rotates using the X, Y, or Z as a pivot point. Scale Along Axis: changes the size along a specific axis. I want the image to appear angled with the right side closer to the camera, so I'll click and hold on the Rotate Around Y Axis control and drag to the right. There's a cube shape in the center of the widget that can be used to scale the 3D object proportionally. As you hover over it, a tool tip will appear to Scale Uniformly. Click and drag away from the center to make the 3D smaller or toward the center to make it larger. 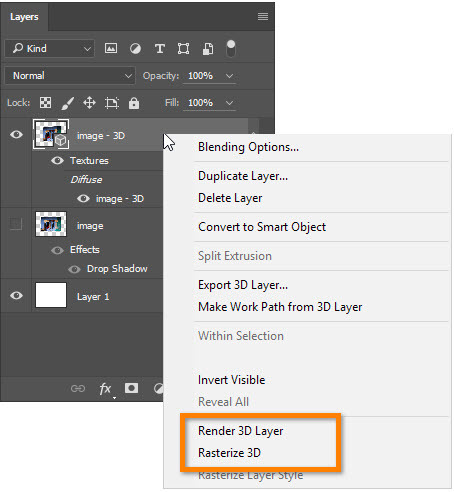 Once the 3D effect has been created, you can either rasterize it to use as static art or render it for use in video or animation by going to the Layers panel, right-clicking (PC) / Control-clicking (Mac), and selecting either Render 3D Layer or Rasterize 3D. Note that rendering can take a long time to complete.